Touchstone Second edition is an innovative four-level American English course for adults and young adults, taking students from beginning (A1) to intermediate (B2) level. 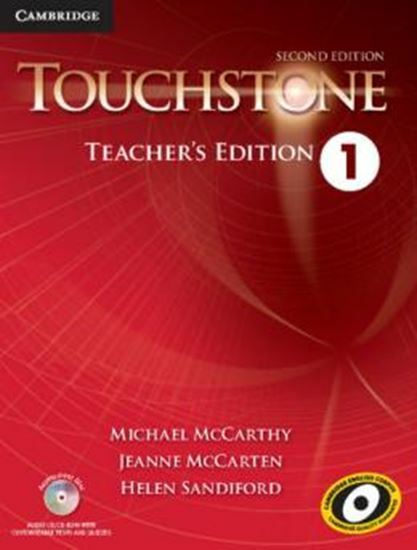 Touchstone Second Edition Teacher´s Edition with Assessment Audio CD/CD-ROM, Level 1 is an interleaved, spiral bound book that puts the teaching notes next to the pages from the Student´s Book. It contains step-by-step teaching notes, detailed language notes to help teachers prepare for class, extra activity ideas, and all the audio scripts and answer keys for the Student´s Book and Workbook. The Assessment CD/CD-ROM provides a complete assessment program, including oral and written quizzes, as well as mid-term and final tests in printable PDF and Microsoft Word formats.